Seal tech can install foam insulation on all commercial projects. 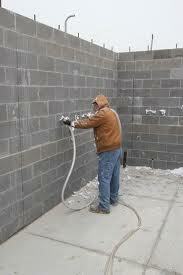 Exterior closed cell foam application on block in the wythe cavity of a brick over block wall. We use the brick ties as a depth gauge to install a minimum of 2″ of closed cell foam, which is a moisture plain, a true vapor barrier and insulation for the building in a monolithic application with no seams or multiple products to apply. 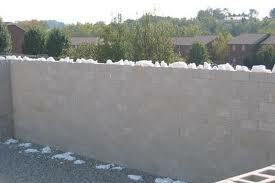 It is the most effective way to insulate this type of wall. The closed cell foam gives an R-14 with 2.25″, is a hard surface and can be exposed to the ellements for up to 6 months without degradation of the product. 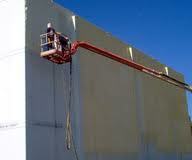 Tripolymer Block Fill Foam is injected into any 8″ or 12″ block from the inside or outside. Filling the block with foam gives an 8″ block R-11 and 12″ R-18. This is a great application for retorfit applications of existing buildings.